"During this Beta phase, due to technical limitations, customers using the XFINITY Stream Beta app on Roku (other than XFINITY Instant TV and XFINITY On Campus customers) can only use that app on secondary Service to Additional TV outlets and will need to have at least one Comcast-provided TV Box or CableCARD in their home as their primary outlet. 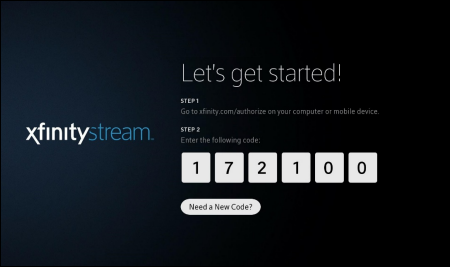 Customers using the XFINITY Stream Beta app on Roku on Service to Additional TV outlets using Rokus do not require a Comcast-provided TV Box or CableCARD." Does this mean I can turn in my Comcast DVR, move to a TIVO with a Comcast-provided cable card and that satisfies the Comcast-provided cable box requirement to use my Rokus on my other TVs to use Xfinity Stream? Roku keeps saying "This Device can only access Xfinity Stream on your in-home Xfinity WiFi. Use the app on your smartphone, tablet or laptop to watch on the go, any time you like". I'm on my Xfinity home wifi but it keeps erroring to this along with Error createDrmSession.403-102. Can someone on Comcast please advise? I have no HD as well, have they fixed yours? I have no plans paying for their Roku app as it should be free with the service. Having the same problem. Xfinity tech says you can't use this service on a ROKU or tv. What is the friggin purpose of it then? If you have posted a review in either the Google Play Store or the Apple App Store for Xfinity Stream and received a reply asking you to post your issue here. You are in the right place, and we are here to help. Please post your issue in a reply here and include as much information as you can. Please try to include the time and date of the issue(s) you experienced in the Xfinity Stream app. If you received an error, include the code and text where available. If the issue reoccurs on a specific program, show, or channel, try to be as specific as possible. Just started getting this myself. Brand new roku smart tv (tcl). The app has been working without issue since I have been using it (about a month). I am on my home xfinity network. Restarted the modem, restarted the tv, removed the app and readded. Signed out, re-authenticated. Still same error. I can access streaming fine on my computer and android phone. Xfinity stream app just stopped working around 3 days ago. I have it on my ipad and roku tv. Roku won’t even start as it’s saying I’m not on home wifi even when I am. Ipad xfinity app works for tv go channels but other channels would say I need to be in my home wifi. Sooo frustrating. Multiple chats and calls with different comcast help desk agents and still no solution. I get error code Roku (Error createDrmSession.403-102) on all my roku devices and on iOS I am unable to see hole channels. It states I’m not connected to home WiFi. Problem stated 3/7/2018 and no one from tech support can assist. Looking at the forums this is a known issue starting 3/7. What is the timeline for resolution or is there a current fix? Home channels not hole channels. I’ve got 6 Roku premier + Units that I have been successfully using this app on for well over 6 months without issue until I started getting this error on all of them last night. An escalated support call ended with me being informed this is a known issue and would be resolved soon. That call was at 8AM cst, over 9 hours ago. The outage overall is now 24 hours in. Please fix!! Same problem as others. Message says that I need to be hooked up to home WiFi, and I clearly am. I enter a new authorization code, get a success message on my device, and then the roku TV continues to get the same error message. Worked fine before today. The app stopped working properly for me as well about 5 days ago. I cannot view any recent DVR recordings. Same issue on both Android and Apple devices. Same here with 6 Roku units as well. Worked earlier today with a real nice 1st level who couldn't help but I appreciated his time. Escalated trouble and was supposed to get a call back... Its been about 9 hours. Will have to pick it up tomorrow. All units have been working perfectly for 8-9 months. apparently it is a nationwide problem but only affects some customers. they are working on the problem. This app is deplorable. Can't stream for more than 20-25 minutes without crashing the TV so bad it cold boots, or it hangs to the point that I have to pull the power cord on the TV and power it back on. I can't even navigate to a show to try watching it if I've used another app since powering the TV on, that freezes it so badly that I have to get up and pull the power cord on the TV. It's been like this for around the 1 year that I've owned the TV, started day 1 with this app and everything else works fine. There's countless threads about all roku tv's (natively built in roku) being leggy and locking up / freezing / rebooting. Getting ready to cut the cord. This app quit working correctly for me about 5 days ago. Have spoke to multi reps at Xfinity without getting this resolved. First lost multi live channels, they managed to get those back. Then For You channels started telling me "no match" for shows I've watched forever. Then occasionally I will get a match, but only gives series info & upcoming-no recent episodes. I like a lot of the Bravo shows, but only way I can watch them now is if they are live. Tried going thru the browse category by network. When I then click on Bravo network, it doesn't list any shows on Bravo at all. Something is seriously wrong with this app & Xfinity seems unable to correct it. a national problem was 'fixed' overnight. are you still having the problem? Still unable to watch Live TV on Roku or iOS devices. StreamTV seems to think I am not on Xfinity In Home network, even when i am connected to home WiFi on Arris cable modem. As of this evening, the app is now functioning properly on my phone & tablet. Took about 48 hours to be fixed. Comcast never contacted me but was working after I checked on a few different occasions. Of course I have no idea what fixed the issue. So much for customer service. Don't get me wrong, glad its fixed, but would like to know what it was. Yes, I just randomly checked last week and found my streaming working again. Wish I would have gotten a call back since they said they would. I was even asked for and left my contact number two separate times with the first level help person. What I have done in the past is to log into the modem and do a factory reset. I use the same wifi network and passkey as before so I don't have to connect all the devices back to the wifi. The streaming works after that for about a week, then it goes back to the "you must be on your home wifi" message. My live tv has not worked since March 08 2018 on my computer. Is there a way to fix it? can you describe the problem? did you try the Chrome browser with integrated flash? error codes? Are you still getting the DRM error code? My xfinity app on my android phone hasnt been working for almost 2 weeks. I have uninstalled and reinstalled and updated. Still has the same thing showing. My experience with the Xfinity Stream ROKU Beta is it works great when watching a channel. But Heaven forfend trying to switch channels! Usually get "Error DRM.-3" but when I try it again it sometimes works. But sometimes I have to go all the way out and back in again. I am trying to get the Fox News Channel to stream live on my Roku device. After installation and verification it works, but as soon as I turn the TV off and try to log in again it will not stream, just indicating that it is not available from my local provider. Several others in your forum are having the same decertification problem. The local Xfinity office people are not able to help me solve the situation. I want to use my Roku device to get Fox News on my summer home TV using my Xfinity cable TV subscription that I leave on and active at my permanent home in Chico even though I am away for four months in the summer. I have the Xfinity Stream Beta App on Roku as well, but it is only designed for use through the Xfinity cable, not wifi over the internet, so will not work at my summer home. Please help! I'm on my home internet wifi with the roku. i get a blue message screen "i-Service Provider issue-your service provider currently doesn't grant access to this content. Please contact them for more details. note that you can use a PC connected to your vacation home TV and use TVgo channel fox news and the stream site using a browser. (connect via chromecast or via HDMI connector). adding... i logged out of provider in the fox news roku app and logged in again. went through the activation process and it is working on my home wifi again. Tried the log out and reinstall method, but it did not correct the Roku situation. Unless I find a way to get it fixed using Roku, I may try the PC to TV suggestion using FoxNews Go to stream to from a laptop or ipad to my TV either with a cord or wireless. Hope it would give me a live feed as well as the ability to view recent programs such as Bret Bair and Chris Wallace. This exact same thing happened to us for 2 whole weeks. We had no television. It went up to Tier 3 support, a tech came out, blah blah blah. Now it's working and our service is garbage. Our recordings skip and don't record entire shows. Subtitles pop up out of nowhere. It's the strangest thing. They shouldn't have rolled out this service because clearly it wasn't ready. I'm canceling tomorrow, I suggest you get out while you can still get your money back. From what we can see here when trouble shooting error and breaking it down.. it is a connect issue.. not so much the distance of the modem nut the connect to the modem.. Try to boast the wifi signal or increase Hardwire speed this is what we are finding resolve the issue. If you are using a customer owned modem , check to make sure that your modem can handle the speeds that are being push to the device as well a being current and up to date..please check the certifided modem list if you are not sure..
What? I hope you are not a Comcast employee. What appears to be happening is a connection issue with the Roku and Comcast's server, not the Roku and the modem. Most, if not all having the issue, have no issue with other apps. What I have found though, is my approved modem loses the connection with Comcast internet. I was told by a tech that it is the was that Comcast uses what the he called "floating" ip addresses. I am assuming he means that Comcast does not use static ip addresses, so the modem forgets to update the new address, which makes it pose conection. Notice of late, my internet speed have been all over the place. Sometimes as low as <1Mbs and as high as 70Mbp. I am on Comcast's 60Mbs plan (this is measured over both wired and wireless conection). I have been using this app on my Roky since it was release. It has always been buggy, but have been able to deal with it. But now the DRM errors have gotten to the point that it's basically unusable. Comcast, what is the latest on fixing the DRM issue? This has been going on for since the beginning. In response to L3t3's and asndad's comments... I have been receiving the drm-3 error message for months, but I have a Roku Ultra model with a hard wired connection to my modem. This is not just an issue centered around a wireless / wi-fi connection. is this while playing back recordings from the Cloud DVR or while watching live streaming TV? TVgo channels? on-demand?